With Cast Brass Strainer Grid & 17 Gauge C.P. Tailpiece. The Freeman Zinc 1/4 Inch x 1/4 Inch Male-to-Male Swivel Industrial Plug provides a simple and strong connection for your pneumatic tools. Composed of zinc, this fitting is as durable as it is easy to use. The swivel feature helps prevent kinks and makes your tools easier to use. Adds snap-in ease to your workflow. Hitachi, the market leader in professional grade pneumatic tools. Engineered for superior fit, airflow and durability. For optimum air tool performance and quality we recommend using only genuine Hitachi accessories. For use on any air powered tool. Component style and series must match for proper compatibility. 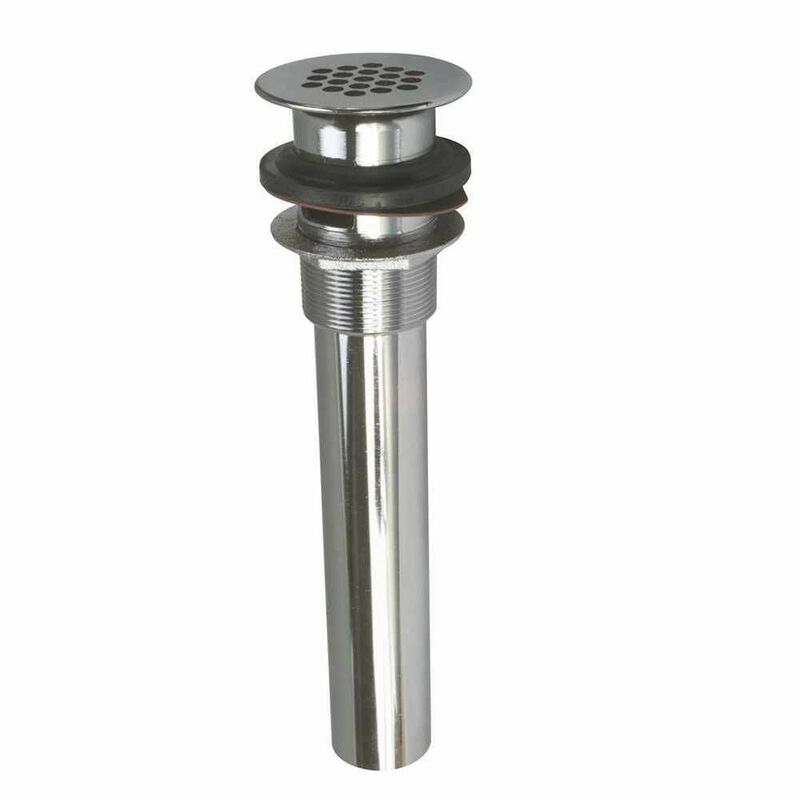 P.O Plug With Grid Strainer, 1-1/4 inch X 6 inch Chrome With Cast Brass Strainer Grid & 17 Gauge C.P. Tailpiece.